This should be my last Halloween costume post until… Halloween (aside from pumpkin patches and various Halloween parties, etc!!!). 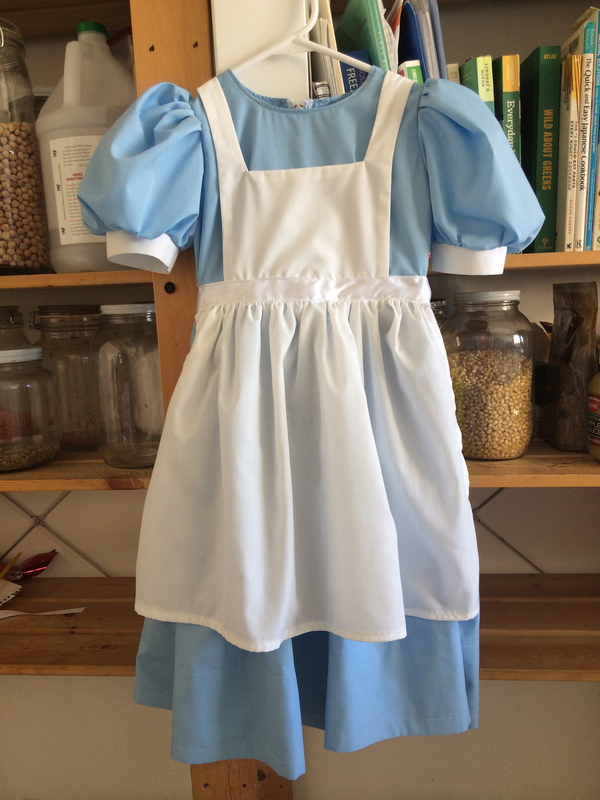 Today I was able to finish both kids’ costumes! Naturally, she wanted to put it on right away after school, which of course was super flattering to me. 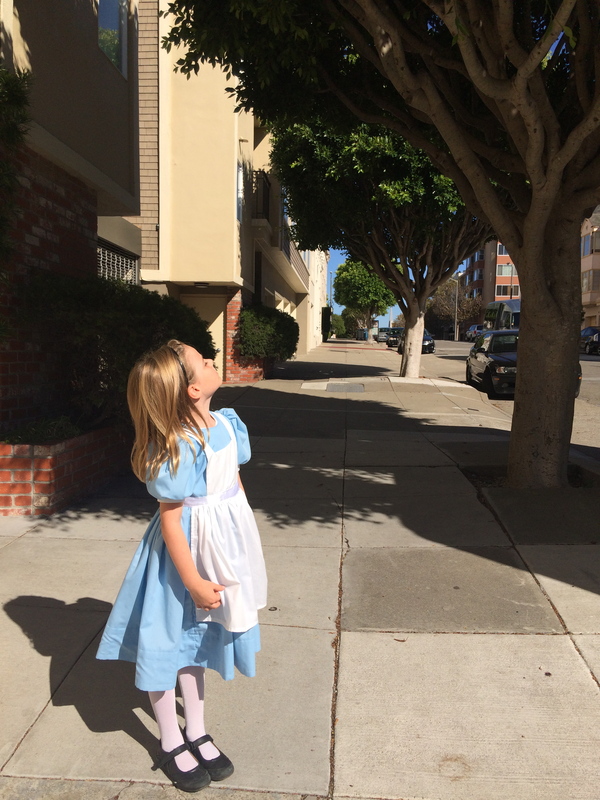 Is the Cheshire Cat up this tree??? 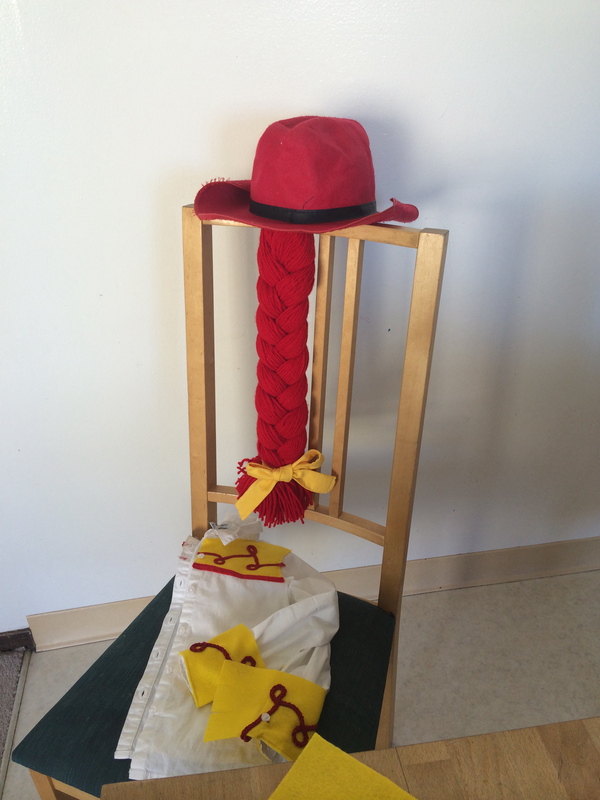 Then I made cuffs for the Wee Boy’s Jessie shirt, and a long yarn braid to attach to the hat. 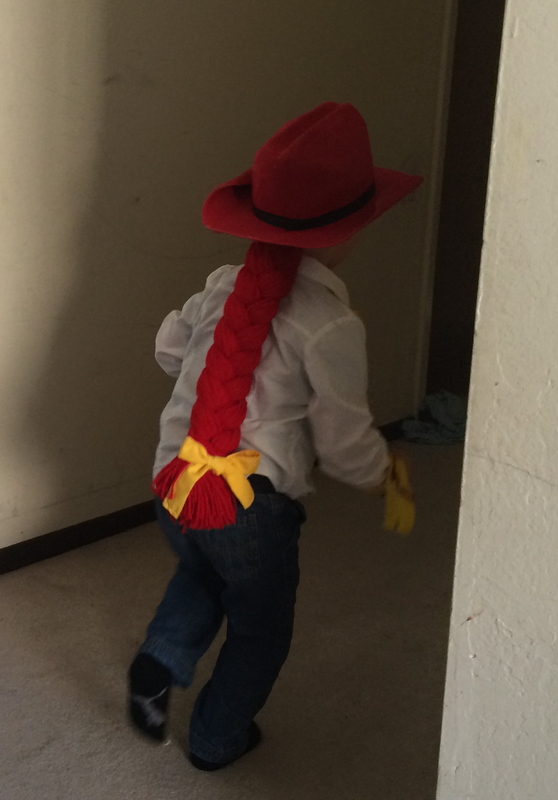 I roughly used Lasso the Moon’s tutorial on yarn braid-making: http://lassothemoon.typepad.com/lasso_the_moon/2012/10/toy-story-jessie-costume-tutorial.html I attached the braid directly to the hat, however, since there were stitches to attach it to. 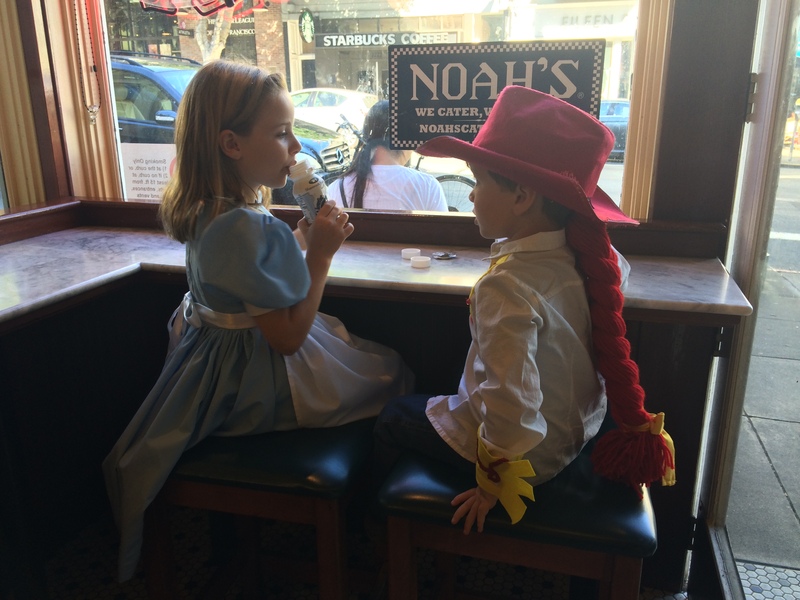 The two kids insisted on wearing the costumes out to the bagel shop and park, and who could blame them?? I’m very happy that they like them, and the fact that I spent so much time and effort on them makes me really enjoy them wearing them often and everywhere! Halloween or not, costumes are awesome! I have to come to terms with the fact that these costumes will have some wear and tear by the time we go trick-or-treating, but at the same time, it will make all my effort so worth it! Snacking while staying in character– tougher than it sounds.